on from father to child. of history and love for wine. A century-long history, a family of sharecroppers and a simple insight: setting up a cellar. 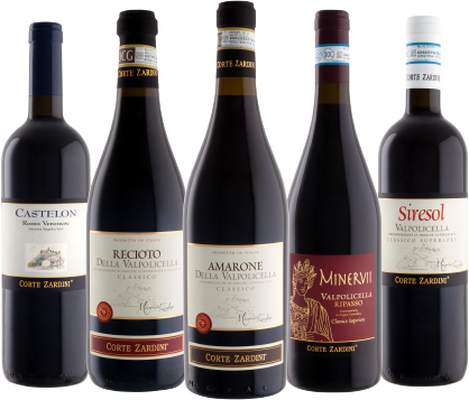 It was 1914 when Ernesto Zardini decided to add to sharecropping the production of wine to be sold to osterie (taverns) around Verona. A typical history for Valpolicella, closely connected to its land and the families living on it. Still today, the Zardinis, called Carli da Maràn, are one of the most popular families in the area, tied to the community by an age-old bond, deeply rooted in the wine-growing and farming tradition. It was 1965 when the family moved a few kilometres uphill, to the small town of Pezza, and purchased the vineyards “a marogne”, the typical dry-stone walls that make up the terraces on the slopes. The location - on the hillside in the centre of the district - has not changed since then. It was 1996 when Maurizio Zardini, with the precious help of his wife Loretta, started managing the cellar with a clear objective in mind: building up a future, generation after generation, in the heart of the wine world, in the rich land of Valpolicella, based on a strong experience in producing the typical wines of the area: Valpolicella superiore, Ripasso, Amarone and Recioto. The cellar, once producing for third parties in Italy, evolved into a label. The tradition was passed on to the children Mattia and Marta, and so was the passion for one’s work, and the love for wine. 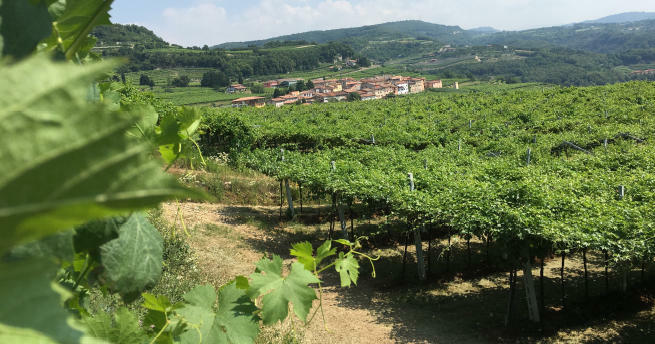 In the heart of the Valpolicella area, along the Lessinia foothills, it is not unusual to come across widespread vineyards warming their leaves in the sun, with a rose bush near each row. The culture of wine has developed in this large garden surrounded by hills, a tradition made up of knowledge and the love for the land which has provided some unique wines, which today stand for excellence all over the world. This is the valley where Amarone and Ripasso come from, mentioned by no other than Catullus in 49 b.C. and in which wine, during the Middle Ages, was considered as money.